Bitepads are more durable for severe teeth grinders. Stability wings are more flexible, which offers less interference with the upper-side gum tissue. Typical dental guards require boiling water and biting into hot plastic for fitting. SleepRight does not. 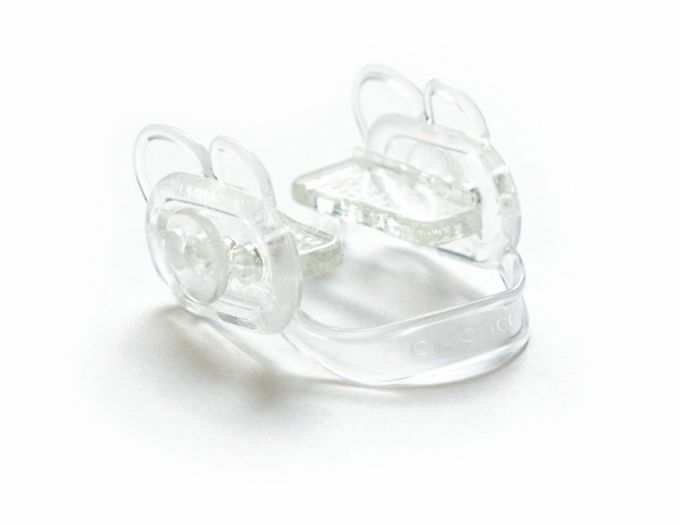 With SleepRight's patented self-adjust technology, you have two bitepads that comfortably fit between your upper and lower molars to re-establish your natural freeway space. The SleepRight utilizes natural tissue retention between your lips, cheek, and tongue to be held in place. There are no clasps that attach to your teeth and you do not use your teeth to hold the appliance in place.